we have the right solutions to bring the most impact for your client. We have no shame in this game. We are in the business of creating temporary tattoos that look real. Until now, temporary tattoos were a joke, strictly for kids and applied by clowns at County fairs. Our tats are applied by pro makeup artists, using our techniques, airbrushes and other special FX makeup tools to trick the naked eye. We hatched in Hollywood. 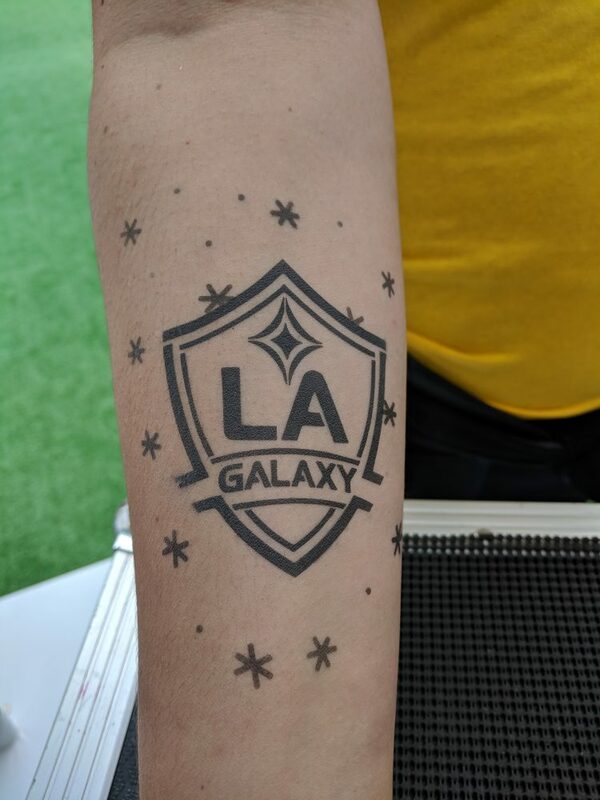 Special FX Tattoos are our only game. We don’t settle when it comes to the quality of our tats and the application process. We won’t produce a tattoo if it’s not good enough for us to wear ourselves. 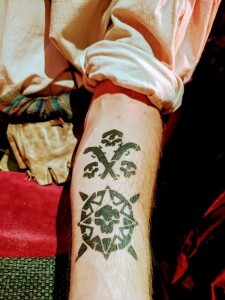 Our faux tattoos AND our proprietary techniques, not to mention our sophisticated and attractive event set up- is the best in the business. Anything less from a competitor is amateur hour. 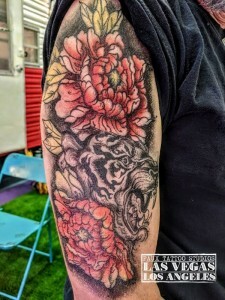 Because of the continually growing popularity of tattoos and skin art, temporary tattoos have become more and more accepted in the trendiest and most fashionable sectors. The BEST part about our tats for individual clients is that you can’t tell they aren’t real – so all people will do is compliment your ink! Our tats are also the perfect tool to send a message, share a brand, create a theme or grab attention- on many different marketing levels. Take advantage of the most unique form of experiential entertainment – EVER! Looking for a great entertainment option that celebrates the brand while creating a fun experiential marketing opportunity that lends perfectly with social marketing? Whether it’s a trade show, an in-house gala, or a major music festival activation, you’ve come to the right source! Do you have a new product to launch and an event to bring that product closer to your customer? Create a social media buzz at your event while spreading the word about your brand with amazing realistic tattoos! We’ve solved the problem of fake looking FX tattoos. FTS is the ONLY source for totally realistic airbrushed FX tattoos. At our shop, we create our designs like real tattoo artists with respect to the art form. We know all about mimicking tattoos for film. We offer fx tattoo consulting and design for productions of all levels. Try Your Ink Out First Before You Commit! No matter if you are an actor, or a regular Jane (or Joe) looking for a fun tattoo experience, we can hook you up with the most awesome ink you ever thought possible. Looking to take the experience further? We offer “test” tattoo design and application for those that want to test their ink out for a week, believably. Our task is to take the project from concept to completion with as much ease and as little confusion as possible.  We gather the info, images for the proposed tats or experience, and then formulate a design plan that can be followed with precise results. Our main focus from the beginning of a project until the end, is to keep the client’s needs front and center. 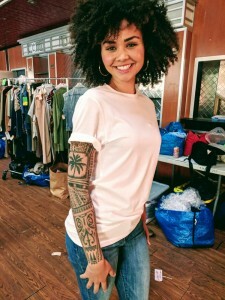 Whether the project needs one tattoo or fifty, we have what it takes to get them done professionally- with our makeup team applying or yours, in a production or for a major event. All this is possible because we design everything at our studio. We work with you to create a custom experience that will have them talking for days. Our amazing tats are a marketer’s dream and create fantastic social media content that can be shared via apps like Instagram and Snap Chat! Simply The Best Temporary Tattoo Services. Period. 10,000 hours of research and development. 1000s of tats. Hundreds of events and all of our clients are happy. Just like Babe Ruth, we call our shots. Batting 1000. There Is No Other Entertainment Service Like Ours. Anywhere.